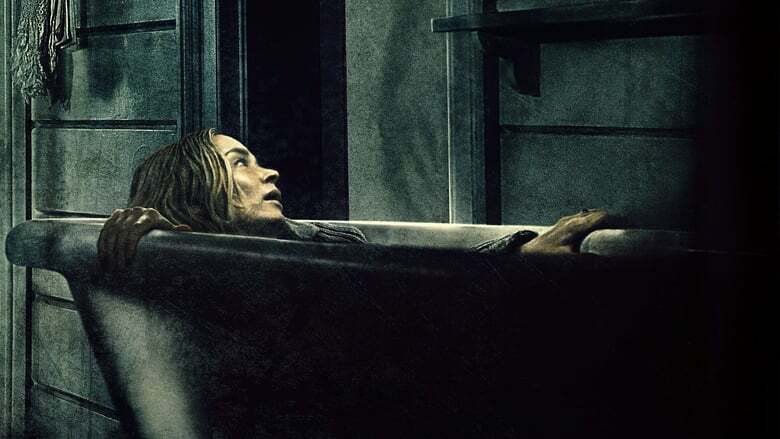 A Quiet Place is a film co-written and directed by John Krasinski. The film already had me ears when I saw the trailer. It was something I never saw before. The reviews came out and increased my anticipation for the movie. Finally, watching it last night, I had a smile on my face. Plot: The Abbott family live their life in silence when a creature hunts people by the sounds they make. Story and direction: Even when writing the plot of the film down in one sentence, I can’t believe that such a piece of work exists. It is something that maybe hasn’t been created in years. Kudos to the writers and Krasinski for bringing this piece of art onto the screens. I was just glued to my seat for each minute in the film. I liked the way in which the film opens with no exposition as to what has happened. In this way I was able to give my full attention to the film. Each moment is filled with intensity and suspense. Even though the antagonist is seen for just few moments, Krasinski knew how to keep the surrounding full of tension. That’s what anyone wants from a horror film. It even didn’t have jump scares that normally any horror film has (or even overuses these days). The characters of the film also draw your attention a lot. Each of the character has a certain pain of their own and you can relate to that pain, which made it easier to connect to them. The creature design is just good and so are the visual effects (considering the budget in which the film was made). Something that caught my attention were the sounds. They were also kept quite minimal, true to what the story intends to do. Hats of to the sound team for this amazing feat. If I had to note some flaws, it would be the score. Marco Beltrami’s score is one that has been heard before in certain horror films and felt quite repetitive. Also, one scene felt a bit impossible from my point of view. Performances: The film has some amazing performances packed along with the watertight script. Emily Blunt we all know is a great performer and she cements it with her performance in this film. John Krasinski (who also rewrote the script in addition to directing it) did an amazing job as a father who cares for the safety of his family. Millicent Simmonds was the star of this film. Although she is deaf in her real life, the emotions that her character went through spoke louder than words. Noah Jupe also gave a compelling performance. Favorite Scene: It would be the scene where the father and son have a small conversation on the riverside. That conversation shed some light on how a father cares for both of his children and loves them no matter what. Verdict: This film is certainly one of the best that 2018 has to offer. This goes on to show that with great talent and an extraordinary script, the results are more than expected. The makers have announced a sequel to this one. I don’t know how they will top this film.